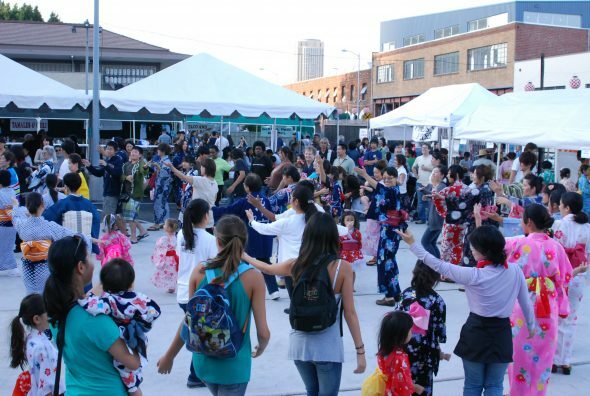 This weekend in Little Tokyo: celebrate Obon festival! 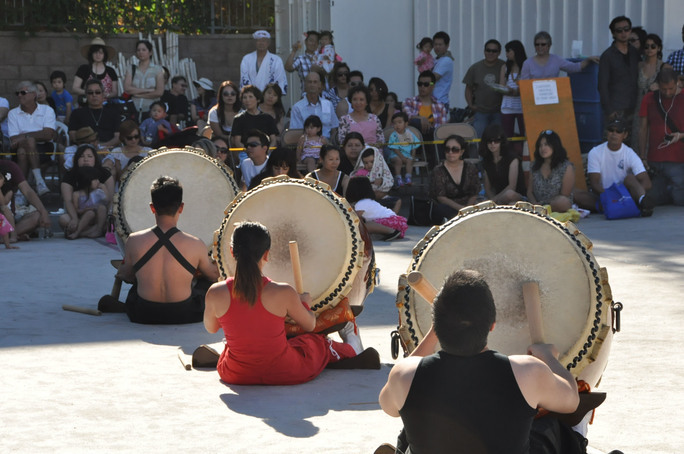 The summer festival season in Little Tokyo kicks off this weekend with a full schedule of cultural celebrations in the historic neighborhood. Celebrate Obon, one of the most important Japanese traditions, at the Nishi Hongwanji Buddhist Temple and the Zenshuji Soto Mission. Obon is a time to pay homage to one’s ancestors and reunite with family. Come together and enjoy music, dancing, martial arts demonstrations, cultural exhibits, games, and of course food. Take in the floating lanterns known as toro nagashi and join the bon odori, a traditional folk dance, to cap off each evening. Both festivals are free and open to the public. Families can take advantage of Free Family Days at the Japanese American National Museum on Saturday and Sunday. In addition to free admission, kids and parents can use their imagination and creativity at origami workshops and craft activities. At the Japanese American Cultural & Community Center (JACCC), hundreds of ‘ukulele players will descend on Little Tokyo this Saturday for the L.A. Ukulele Expo. This day-long event includes workshops, panel discussions, and performances. Adjacent to the Expo, see the debut of the Azusa St. Pathway Project on Saturday, the first in a series of neighborhood activations from Sustainable Little Tokyo. Finally, on Sunday evening purchase tickets for the first installment of the Little Tokyo Concert Series, featuring Sheila Govindarajan, in the JACCC James Irvine Japanese Garden. Getting there is easy. Take the Metro Gold Line and get off at the Little Tokyo/Arts District Station. Plus, for this weekend only, park for free at the 428 E. Temple St. parking lot, courtesy of Metro and the Regional Connector Transit Project.